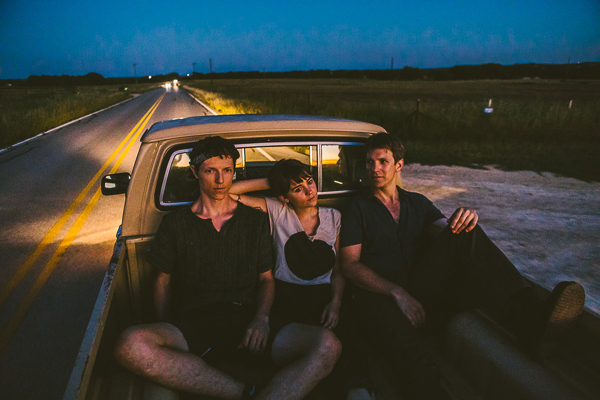 The trio convened in a house in the Texas hill country to see what would happen, and quickly realized an album was imminent. “There was something powerful about the combination of the three of us,” Meiburg says, “and very different from either of our bands. But I think we were afraid to say so out loud, for fear of jinxing it.” For the next few months, Loma met for two weeks at a time, shaping and revising new songs and casting others away. It was also a strangely charged time. When the album began, Cross and Duszynski were a married couple, but their relationship ended during the sessions—an atmosphere Meiburg found both challenging and inspiring—and the isolated house became the album’s muse. Dogs wander by the microphones; the sounds of birds and wind in junipers and live oaks hover at the borders of the songs, and a close listen reveals cicadas and frogs from a nearby stream. Except for Cross’s translucent voice in the foreground, there were no assigned roles on the album; each member of the trio played every instrument as needed. This feeling of freedom let buried energies find expression. Cross wrung catharsis from Meiburg’s lyrics and melodies, while Duszynski immersed himself in the sonic details of engineering and mixing. In the end, the record became a document of an urgent and ephemeral place and time, and the strength that comes with letting go of something precious. It closes, fittingly, with the subtly defiant marching anthem of “Black Willow,” in which Cross’s voice, backed by a hypnotic bass and drums, offers a lesson in survival. “When I walk,” she sings, “I carry a diamond blade.” She means it. The time is now to follow Loma everywhere in the known universe, on subpop.com and also Instagram | Twitter | Facebook. 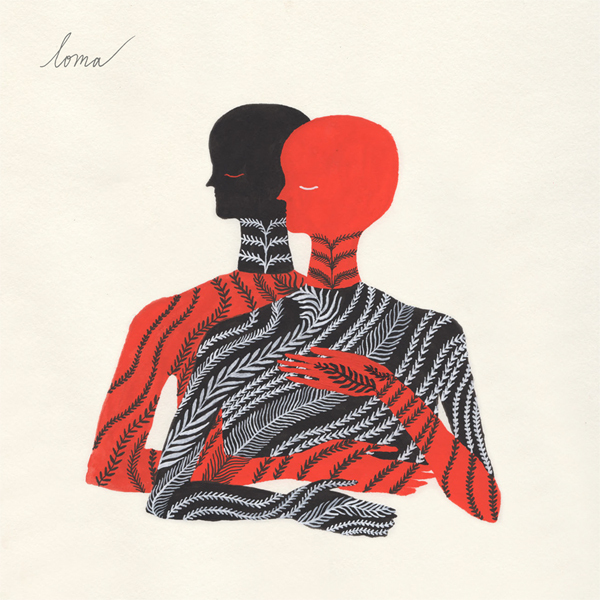 Loma is now available for preorder from Sub Pop and select independent retailers right here. North American preorders of the limited Loser edition will be available on clear vinyl with red and black swirlies (while supplies last), and a lovely new t-shirt design will also be available. Newer Entry: Walt Wagner’s 'Reworks' is out today worldwide on Sub Pop!